Brown EP and the Nelson Center for Entrepreneurship are excited to host a roundtable discussion with Eric Goetz ’71. Eric Goetz, is considered a leader in high tech composites construction worldwide. 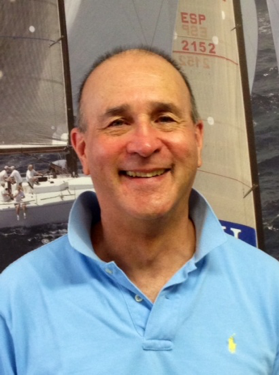 He began sailing at a young age on Manhasset Bay / Port Washington on Long Island, NY. While attending Brown University, Eric took courses at the Rhode Island School of Design in Industrial Design, sparking his interest in how design is influenced by materials and processes. Eric built his first boat in 1975 and started building with carbon fiber two years later. He went on to pioneer the business and the process. The first several years were characterized by the construction of increasingly high tech cold molded boats. Eric experimented with various combinations of cored wooden structures to try to stiffen and lighten the boats. He then began applications with high tech fibers held together by wet-preg epoxy resin. Presently, building techniques are combinations of similar high tech fibers and laminated with high tech heat cured resin systems. Eric Goetz, while President of Goetz Custom Sailboats, gained his experience through building carbon fiber hulls for America’s Cup campaigns. His team also built some of the world’s most successful race boats, extreme powerboats and beautiful luxury yachts.